We conduct audits with the goal of assessing the performance and compliance of State entities. Identifying areas for potential improvement is an essential part of such audits and recommendations are made in support of that objective. Follow-up audits inform Parliament about the extent to which State entities have acted on recommendations made in previous compliance and performance reports. They also help inform our performance by reference to the relevance of our findings and recommendations. This follow-up audit was completed to provide Parliament with information about the extent to which State entities acted on recommendations made in four reports tabled between September 2011 and June 2014. 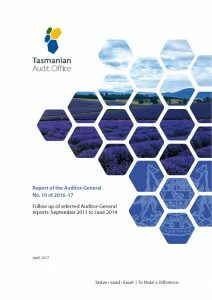 Report of the Auditor-General No. 1 of 2011–12 Tourism Tasmania: is it effective? 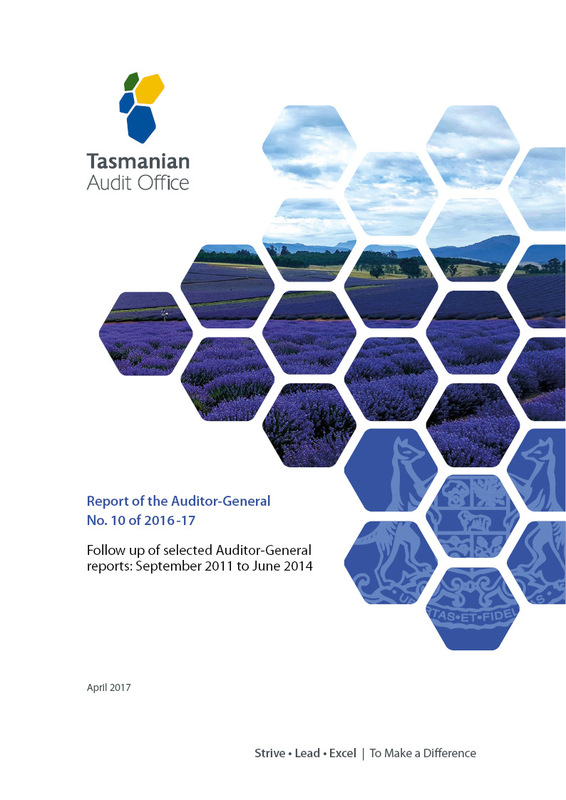 Report of the Auditor-General No. 13 of 2013–14 Teaching quality in public high schools. We consider the degree to which recommendations have been implemented a useful performance measure, both for the audit clients and the effectiveness of the reports. For the purposes of a follow-up audit, we regard an implementation rate of 70 per cent as satisfactory.